When portioning in cooled rooms, dispensers and conveyors without additional cooling technology are enough to ensure an HACCP-compliant work process. 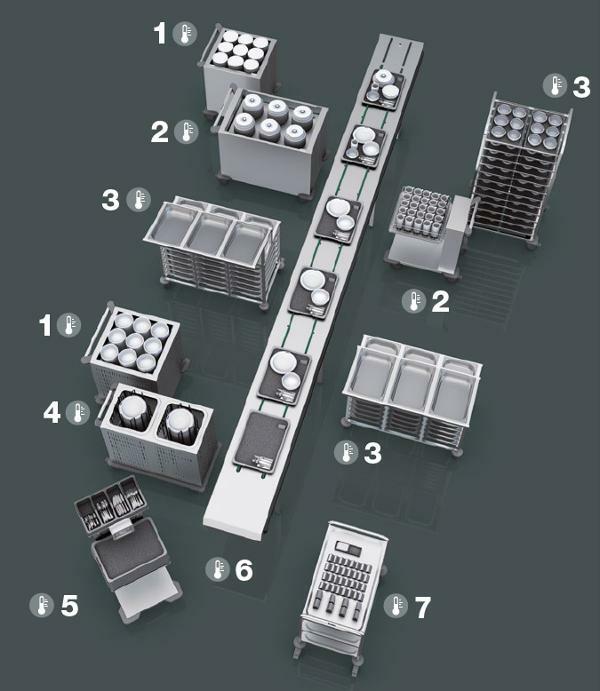 In platform, basket and plate dispensers with cooling slits, the cooled dishes are ready for use. Pre-portioned food components like desserts or salads can be temporarily stored in the agile shelf trolley and wheeled directly from the refrigerated room to the conveyor. Whether flat-belt or round-belt conveyor: you can select the desired conveyor speed from 2.5 to 12 metres per minute. And therefore precisely optimise it for your portioning process. For temporary storage, transport, preparation and portioning in cooled rooms, BLANCO Professional offers a practical range of food distribution conveyors, rugged dispensers and mobile assistants like serving and shelf trolleys. Ergonomic details support your employees during an efficient work process. First-class processing and high-quality stainless steel ensure a long operating life and optimal hygiene.